Marion Paden, Enrollment and Student Services Vice President, remembers when OCCC was called South Oklahoma City Junior College, when there was no library, when there was no College Union and when the Aquatic Center was outdoors. Paden said she walks around campus every day and observes the evolution of the campus, knowing she has contributed to the change in scenery and the culture in her 32 years of employment. 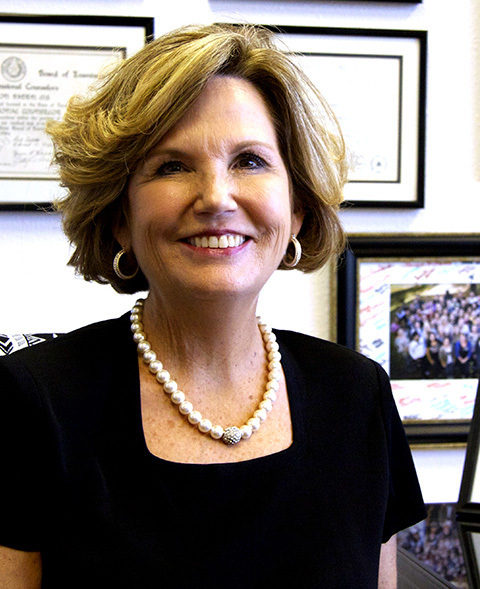 On June 30, the longest-serving Chief Student Affairs Officer in the state and recent Oklahoma Women’s Hall of Fame inductee, will look out of the windows of her office for the last time. On July 1, Paden begins her position as the CEO of Leadership Oklahoma. She said she is excited to start her new adventure with the organization she has been involved with for nine years. Leadership Oklahoma has a selective admittance process, much like the President’s Leadership class, she said. Members must go through an application process, exhibit commitment to their community and state, be recognized either privately or professionally, attend a two-day class, and join the alumni association, she said. The 30-year-old organization strives to bring leaders together and allows them to form committees and defeat issues that restrict the state. Leadership Oklahoma’s mission is: Oklahoma leaders making Oklahoma the Leader. Paden has exhibited the required commitment through involvement with organizations such as Christmas Connection, the Red Cross and Arts Festival Oklahoma, as well her leadership roles with the Oklahoma City Rotary Club, the Rotary Club International, the Oklahoma Sports Association and more. She said giving back to the state made her want to join Leadership Oklahoma. “I’m really proud of the state of Oklahoma. I really think that Oklahoma is a great state, but I don’t think it’s achieved it’s potential yet. “I think there are issues that need to be addressed and need to be resolved that range from women’s issues to children’s issues to economic issues to education issues … . While Paden wants to help change the face of the state, the college will always be in her heart and in her mind, she said. “I would not want to leave the college unless I had something that I was going to that I think will actually benefit the college and … strengthen our state. President Paul Sechrist said in an email that Paden “left a legacy of outstanding service to the students of OCCC. “In addition, she is known nationally for implementing cutting-edge technology and wrap-around services to better meet the needs of students.